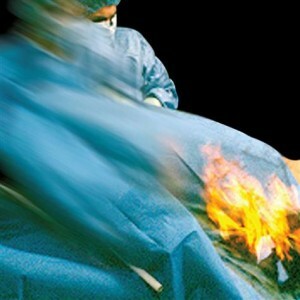 HIPPA Violations Scarier than Surgical Fires? Wonder just how worried hospital administrators are about potential HIPAA breeches due to IT failure and mistakes? According to a poll taken and published by Healthcare IT News worried enough to put IT failures at number five on their Top Ten list of general technology hazards an institution might face. According to that report the prospect of a data disaster that leads to a costly HIPPA breech is scarier than luer mis connections, over sedation, needle sticks, surgical fires and defibrillator failures. Is this a bit of an over reaction? Surgical fires and needle sticks sound a lot more serious than data loss. However given the increasing number of HIPPA violations reported around the country in 2010 and in many cases the costly fines and horrendous publicity that came with them make this kind of concern understandable. Some of these violations would never have been prevented by even the most sophisticated of IT security systems though. Take the recent reports about a physician who transmitted a great deal of personal patient information via email to his home in a completely insecure and unencrypted manner. There was no malice involved, the man was merely trying to have the information at hand to review properly at the end of his long day. The story though highlighted the continuing need for the education of everyone who handles PI in what is and is not allowable under the HIPPA rules and regulations.